Posted with the kind permission of the Atlas Network. Alex Georges co-founded ENERSA, a renewable energy company in Haiti, to help ease the transition from kerosene lamps to electricity. In the aftermath of the 2007 earthquake, solar power offered a quick and convenient way to provide power to mobile devices, relief workers and those trying to rebuild their homes. His business was up and running, poised to meet the new demand. But a humanitarian-inspired dump of foreign solar panels flooded the local market, forcing layoffs at ENERSA and leaving Georges near bankruptcy. Free stuff isn’t always bad, especially in the immediate aftermath of a crisis. But for fragile economies, the unpredictable nature of humanitarian aid means it can reverse hard-won economic progress. What’s more, there is little distinction any more between short-term emergency aid, which can be helpful, and long-term development programming, which is not. Today they operate as a blurred permanent model that many experts claim is doing more harm than good. The good news is that there is now a better way, but it requires a completely new philanthropic strategy. Simon Bland, head of Britain’s department for international development in Kenya, told journalist Nina Munk, “I know that if you spend enough money on each person in a village, you will change their lives. … The problem is, when you walk away, what happens?” Bland has witnessed the precarious state of aid-dependent communities. Not only does aid contribute to the problems of instability, aid delays and distorts the path for the kind of sustainable development those communities need for long-term growth and independence. Munk, a contributing editor at Vanity Fair magazine, spent six years shadowing Jeffrey Sachs, perhaps the most famous development expert in favor of more aid. Munk started the project thinking that her reporting might help raise awareness about Sachs’ $120 million Millennium Villages Project, an all-of-the-above strategy designed to help poor villages make the great leap forward to economic development. In the end, she published an unflattering appraisal titled, “The Idealist: Jeffrey Sachs and the Quest to End Poverty,” which details how his approach is having a devastating effect on economic development. She observed first hand the costs of that “magical thinking,” the belief that an outsider with limited knowledge can solve other people’s economic problems for them. The result is example after example of major investments in new crops that found no customers, new trade centers that found no traders and new jobs that could not be sustained. Even when efforts had positive outcomes, they could not continue without further aid, a result completely at odds with the purpose and pitch behind Sachs’ development strategy. Most practitioners are well aware of these problems and for more than a decade have tried to overcome them through better program design. Those efforts have successfully underscored the need to do development differently but because they fail to fully account for the undermining influence of the outsider, they fall short of achieving lasting prosperity for those in need. When it comes to achieving prosperity, we have learned that institutions such as property rights, rule of law and free markets are paramount. For decades, international organizations and governments have pushed some version of these kinds of consensus reforms from the top-down as conditions for trade, aid and credit — often with tragic results. We’ve learned the hard way that institutions such as property rights systems are unlikely to “stick” if imported. Instead, they have to be developed from within, locally grown, both to ensure buy-in and — more importantly — as a means to discover the unique cultural mechanisms necessary for informal norms to transition smoothly to well-functioning formal systems. In South Africa, for example, land titling increased for post-Apartheid government housing tenants only after the Free Market Foundation, a local nongovernmental organization that champions property rights for the poor, led a community reform effort that relied on voluntary participation. This approach succeeded in strengthening the institution of property rights because it was driven primarily by the individual decisions of its beneficiaries. In their book “Why Nations Fail,” authors Daron Acemoglu and James Robinson point to the importance of getting institutions right, but at the same time offer the crucial insight that, “No two societies create the same institutions.” Successful institutions might hold many things in common, but their design — and the process for achieving that design — is necessarily idiosyncratic and very likely to fail if planned by an outside mind or organization. As the Nobel prize-winning economist James Buchanan once explained, order is defined in the process of its emergence. This legacy shows up in the bias held today in favor of technical expertise and centrally-planned solutions. It blinds the outsider to the faulty premise that one can and should solve economic problems on behalf of the poor. It’s an important point because the stakes are high. Economist Chris Coyne is the author of “Doing Bad by Doing Good: Why Humanitarian Action Fails.” He observes, “[H]umanitarian action has over time become increasingly intertwined with the broader military and foreign policy objectives of governments,” making the dilemma that much more intractable for well-intentioned philanthropists in the economic development space. Coyne’s research confirms the problems created by the outsider’s hubris. It painstakingly demonstrates how the dominant and rapidly expanding state-led approach “neglects or downplays the complex economic, legal and political systems underpinning the effectiveness of designed organizations and institutions.” The unfortunate result is not just failed economic development, but a geopolitical system even more vulnerable to conflict of interest and corruption. Like Easterly, Coyne doesn’t offer much of a philanthropic alternative, but in his concluding chapter he writes, “[F]ocusing on ways to … remov[e] barriers to economic freedom will yield benefits significantly greater than those from the best spent foreign assistance.” This observation echoes Easterly’s emphasis on restoring economic rights for the poor but, as outsiders, it still leaves us in the same dilemma. How can we help the world’s poor if the intervention itself is part of the problem? The outsider’s dilemma is woefully underappreciated, even ignored. Foreign governments continue to spend large sums on development projects. In fact, 2016 was a record year in total dollars spent. Ignoring the dilemma instead of confronting it head-on is distracting us from finding a solution and, instead, leading us into strange territory, indeed. Consider that in 2017 one of the most prominent debates happening in economic development pits Bill Gates against development expert Chris Blattman on whether to give poor people chickens or cash. Both cases are no doubt borne of noble motives, but neither is a proven method for achieving prosperity and both completely sidestep what has proven to be the most consequential problem: The institutions governing where poor people live. Research shows when poor people relocate to countries with economic rights for the poor they thrive. As Harvard development expert Lant Pritchett explains it, “There are no poor people. There are people living in poor places.” Giving someone a chicken or a tidy sum of cash will do little in a country that makes it nearly impossible for them to be productive because there are too many barriers to enterprise and too few legally secured economic rights. Of course, we should exercise great care before dismissing as insignificant what a modest cash gift or a chicken might do for an individual or a family. At the same time, though, some of us should focus on the larger problem that, if solved, could have much more far-reaching impact. Coyne cites political theorist and moral philosopher Michael Walzer, who writes, “It is, of course, immediately necessary to feed the hungry, to stop the killing. Relief comes before repair, but repair, despite the risks it brings with it, should always be the long-term goal — so that crises do not become recurrent and routine.”. You can accept that challenge while preserving a healthy respect for the outsider’s dilemma, but taken together they require a radically different approach to helping the world’s poor. As it turns out, such an approach is emerging already. 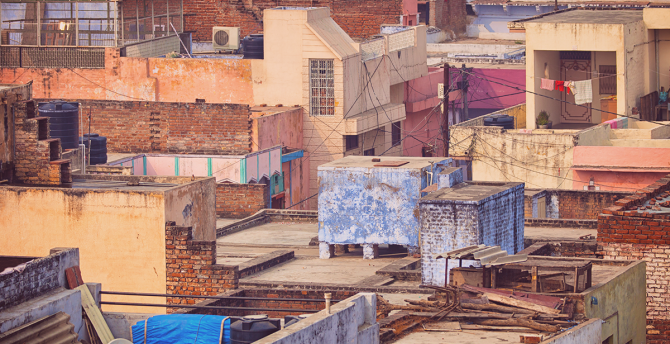 In India, last year, the Centre for Civil Society successfully pushed for the elimination of minimum capital requirements for new businesses, a practice that disproportionately burdened the poor. The Centre correctly anticipated that this reform would impact India’s score on the World Bank’s “Doing Business” report, an annual assessment of 190 countries measuring how easy their governments make it to exercise economic rights. Atlas Network supported new research this year showing the relationship between those kinds of reforms, as measured by the “Doing Business” report, and changes in poverty. In the forthcoming 2018 edition, the report will include the finding that for every five-unit score increase, poverty is reduced 1 percentage point. Applying those findings to what the Centre for Civil Society achieved, that translates to the equivalent of 321,000 people lifting themselves out of poverty in India. More encouraging, India wasn’t the only country that saw reforms last year. In fact, just in the past two years Atlas Network has supported reform projects in 29 countries with poverty alleviating victories in 10 and counting. The global network includes more than 480 independent think tanks, such as the Centre for Civil Society, in 96 countries. Each advocates their own unique reform agenda based on the principles of the free society and the economic rights necessary for all people to achieve financial well-being. Those organizations represent the missing link between the need to remove barriers to the free exercise of economic rights on the one hand and the necessity of cultivating locally grown solutions to bridge today’s informal norms with tomorrow’s strong institutions on the other. This represents a new strategy, one that overcomes the outsider’s dilemma, while building on the wisdom and warnings of Deaton, Moyo, Munk, Acemoglu, Robinson, Easterly, Coyne and others, and it is working. Is it easy to start, grow and close a business? Is it hard to realize the rewards of unproductive behavior (fraud, theft, rent-seeking)? One such example comes from Nepal where the local nongovernmental organization Samriddhi Foundation led a research and advocacy campaign designed to give low-income entrepreneurs an easier go at starting a business. As a result, new microenterprises pay no fees to register and income taxes are waived for the first five years of operation, a crucial period for a new business. Furthermore, government ministries can no longer keep productive Nepalese in bureaucratic limbo. New rules require that business applications be approved within 30 hours of submission – a small change likely to have a big impact. Taken together, this means the outsider’s dilemma may be overcome with a new strategy for economic development that first recognizes that outsiders cannot effectively design the solutions. Local independent think tanks with the knowledge, the capacity and the ambition to remove barriers to economic freedom and restore economic rights are the best qualified to do that. Moreover, the new strategy recognizes there is a role for outsiders. Philanthropists can fuel locally-grown research and advocacy projects around the world. They can fund independent organizations that are committed to the reforms that build and strengthen the institutions necessary for economic development. With current resources, think tanks around the world are consistently achieving significant reforms. Each of those reforms has a measurable impact on key indices and positive and measurable consequences for the poor. With more help, they can achieve even more.